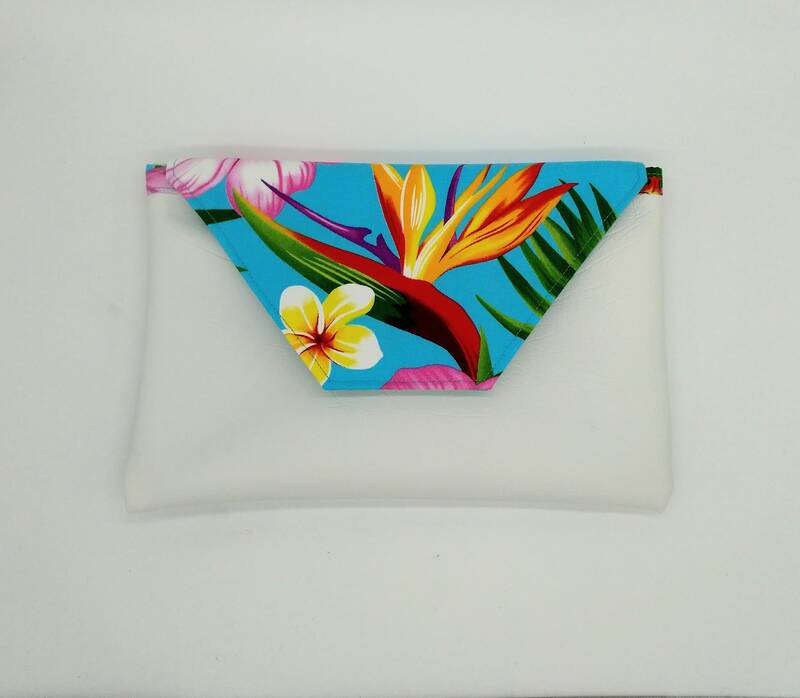 Tropical clutch, Tropical purse, Tropical bag, Tropical pouch. 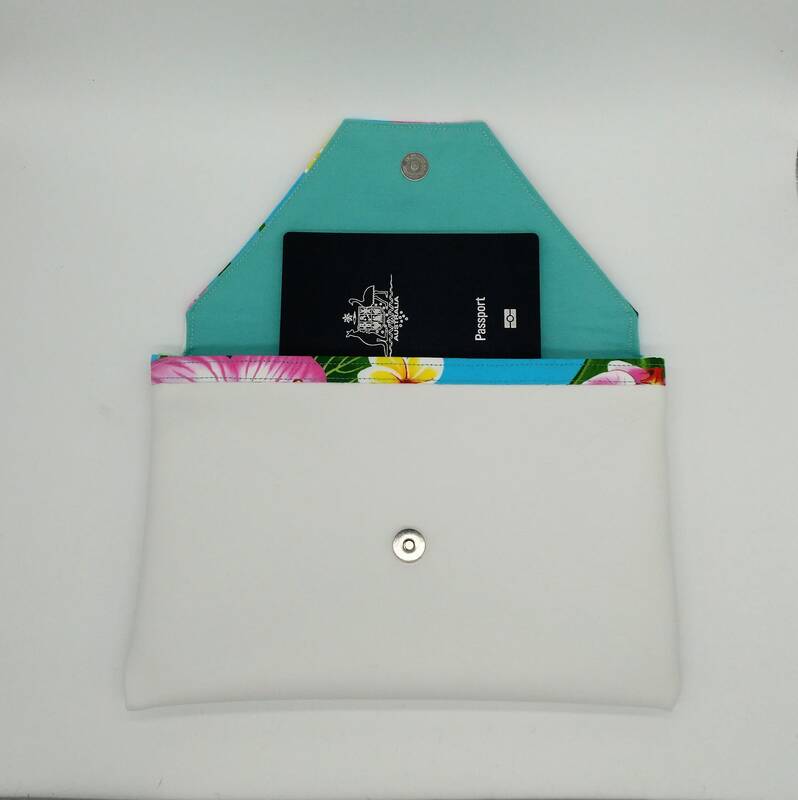 Tahitian fabric collection. I purchased these tropical fabrics on my recent visit to Tahiti. Take a little island holiday out with you with these handmade tropical clutches. 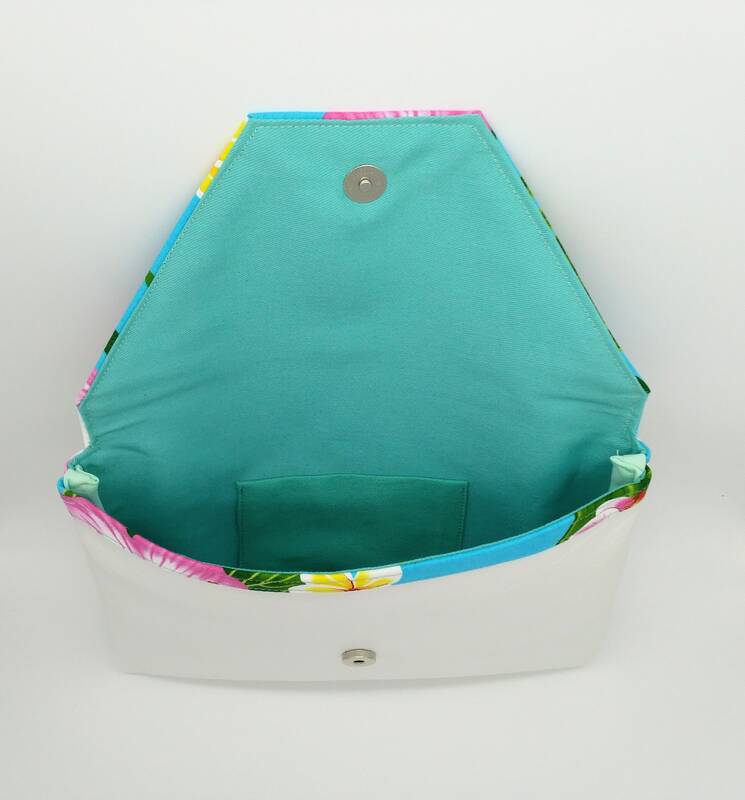 Made with a pvc vinyl and then I have added the tropical fabric. The size is approximately 23.5 x 15.5cm which makes them perfect for a night out, big enough to fit a large phone as well as other essentials. 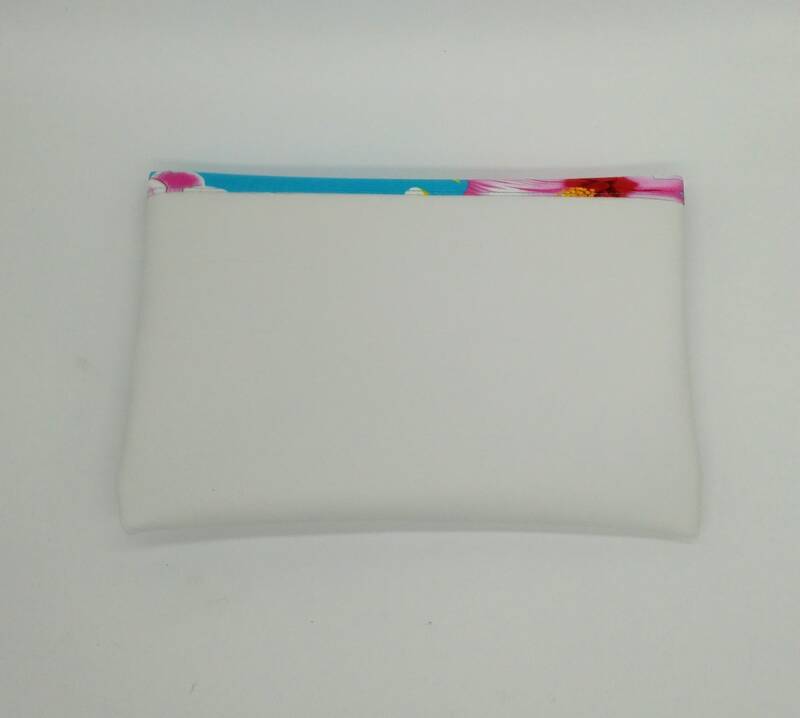 Alternatively they can be used as a travel wallet or make up bag etc. 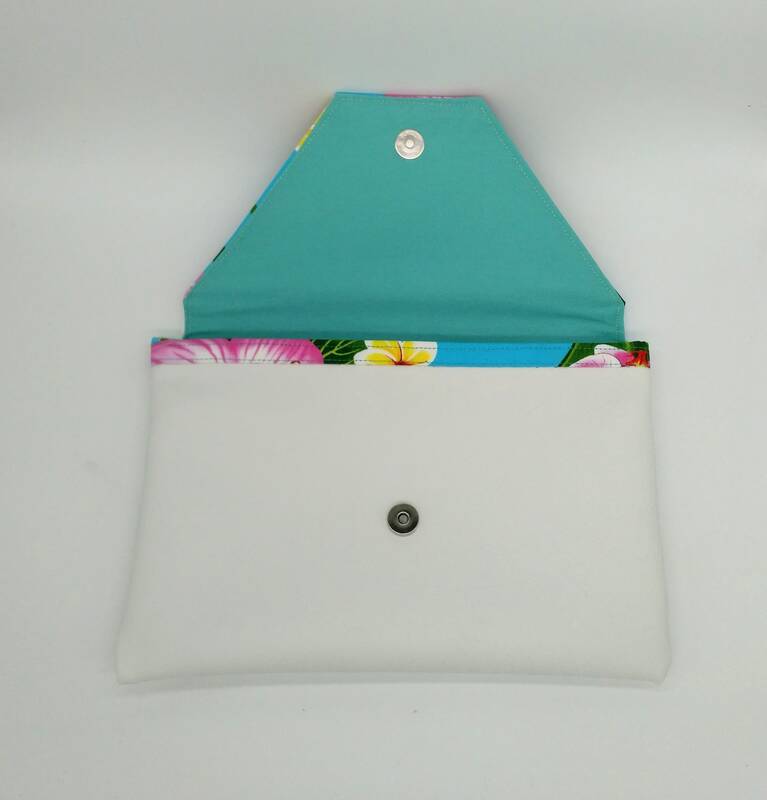 The lining is an aqua cotton (the same for all Tropicallday bags and purses) with a pocket that fits cards or ID etc. They fold over and close with a magnetic button. 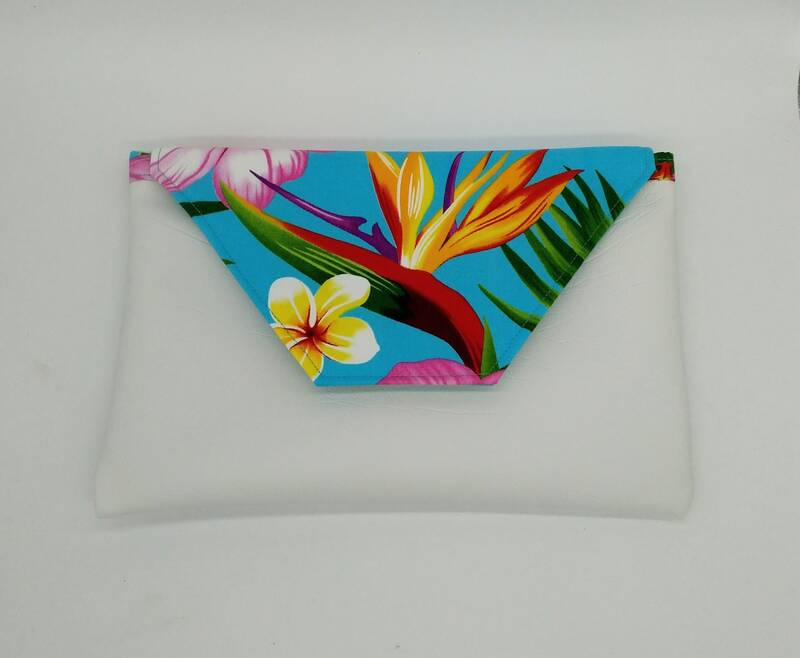 Mix and match with one of my handbags or cosmetic bags and create your own unique tropical set. These can be washed though I do recommend hand washing as I use interfacing.